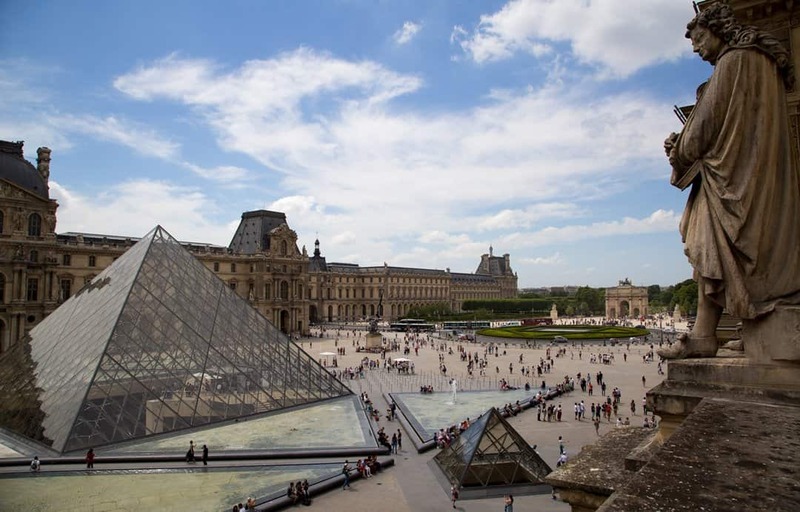 From the glass pyramids placed at the entrance of the Louvre in 1989 to the 4,000 year old obelisk on the Place de la Concorde, the streets of Paris have numerous references to ancient Egypt. These reflect the complex relationship the West in general and France in particular have had and continue to have with Egypt and her past. Where the modern meets the past: glass pyramids at the entrance to the Louvre Museum in Paris. Interest in the ancient Egyptians goes back to the Greeks and Romans. But, the systematic study of ancient Egypt owes a lot to Napoleon Bonaparte’s military campaign in Egypt and Syria between 1798 and 1801. Besides the obvious military personnel, Napoleon’s army included over 167 scientists. Their presence was intended to help the army, but soon they began to describe and illustrate the country’s natural resources and cultural heritage, from the geology, flora and fauna to the various ancient structures. Napoleon’s scientists published their findings as Description de l’Égypte, which gave rise to an renewed fascination with all things Egyptian. A fascination that cropped up everywhere, including on the streets of Paris. Zoom in on the map, and drag the yellow figure to get a street view of the sites below. 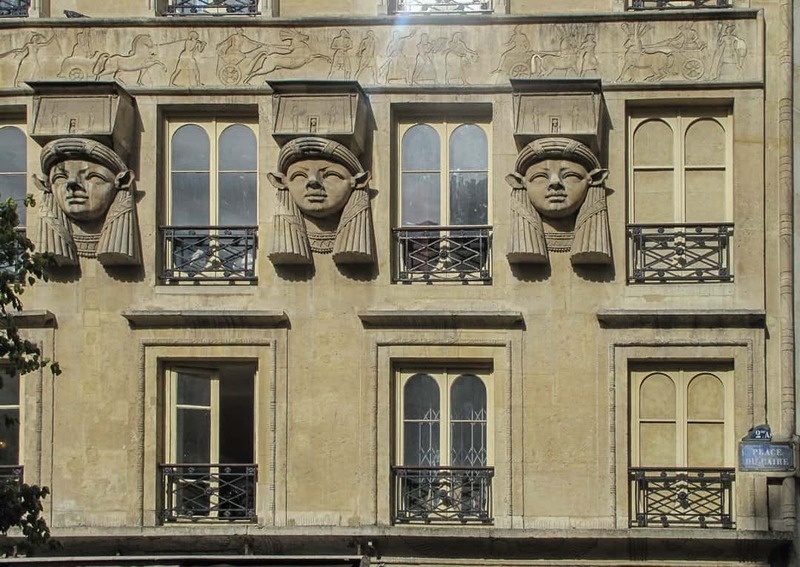 Typical heads of the Egyptian goddess Hathor on the façade of the Foire du Caire. This building, known as the Foire du Caire – or the Fair of Cairo, is the earliest surviving example of Egyptian revival architecture in Paris – having been constructed in 1798. Besides the very visible and typical heads of the goddess Hathor, there is also an obviously Egyptian inspired frieze – although not an entirely accurate representation. The entrance porch decorated with various Egyptian inspired elements. 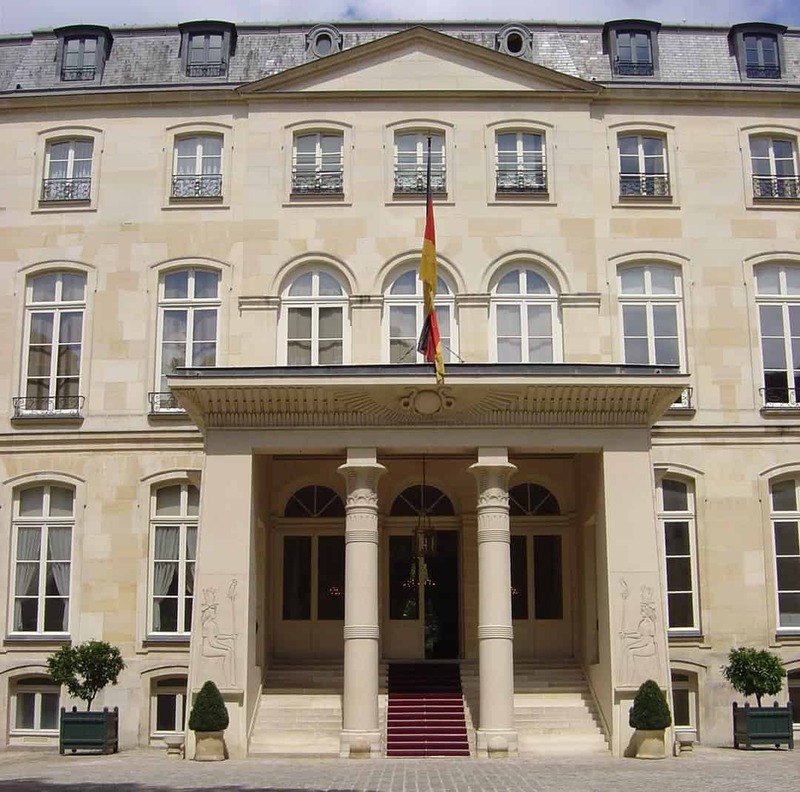 Today the Hôtel de Beauharnais is the residence of the German Ambassador to France, having been in Prussian and then German ownership since 1811. Although built in 1710, the porch to the entrance was added around 1806. The various features of the porch have decoration that has very obvious Egyptian influences. The two central columns, for example, resemble columns you might see in an Egyptian temple, even topped with lotus flowers. The exterior walls are decorated with Egyptian style imagery. Sphinx-like statues in the Fontaine du Palmier. 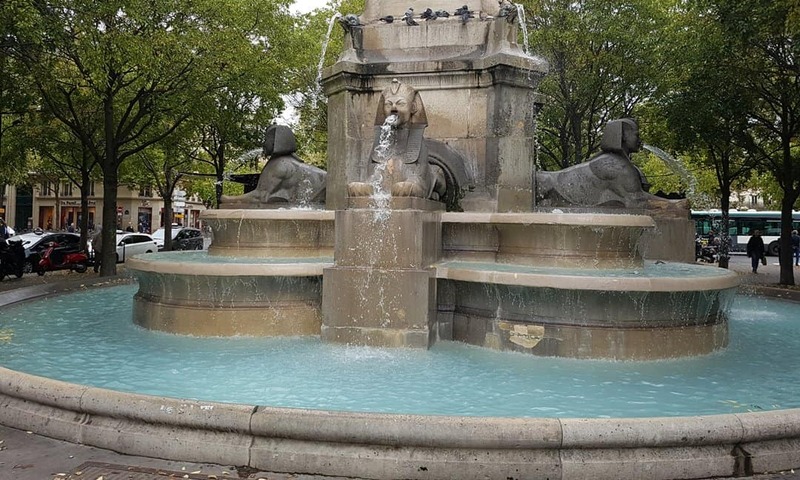 At the centre of Place du Châtelet is the Fontaine du Palmier, which draws on a number of different ancient influences. Four clearly Egyptian-style sphinxes, that each spout water from their mouths, sit at the base of a Roman-style triumphal column. The column, the largest surviving fountain built during Napoleon’s reign, celebrates a number of Napoleon’s victories around Europe, including the Battle of the Pyramids. The fountain basin and the sphinxes were added to the column in 1858 under orders of Emperor Louis Napoleon. Thought to be a copy of a Roman statue of Antinous (Vatican Museum). Just beside the entrance to Vaneau metro station is an attempt to replicate an Egyptian temple. Originally erected against the exterior wall of a hospice, today the Egyptian-influenced structure is all but a building site, with a high rise being constructed around it. 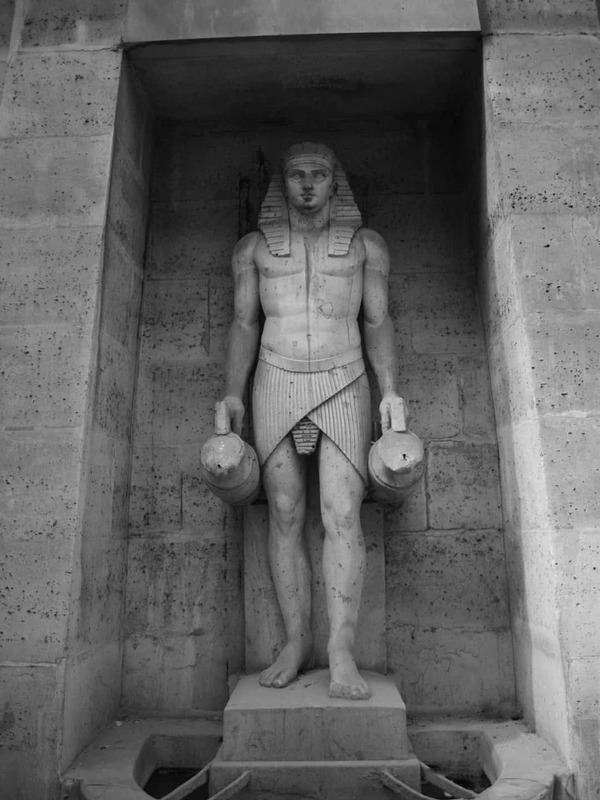 Within the cavity of the temple is the statue of a fellah, a peasant, dressed in obvious Egyptian costume, who when the fountain was in working order poured water from a pitcher in each hand. The statue is said to have been based on a Roman statue of Antinous, Roman Emperor Hadrian’s lover. This is another fountain that was intended to celebrate Napoleon’s victories in Egypt. Four glass pyramids at the entrance to the Louvre Museum. 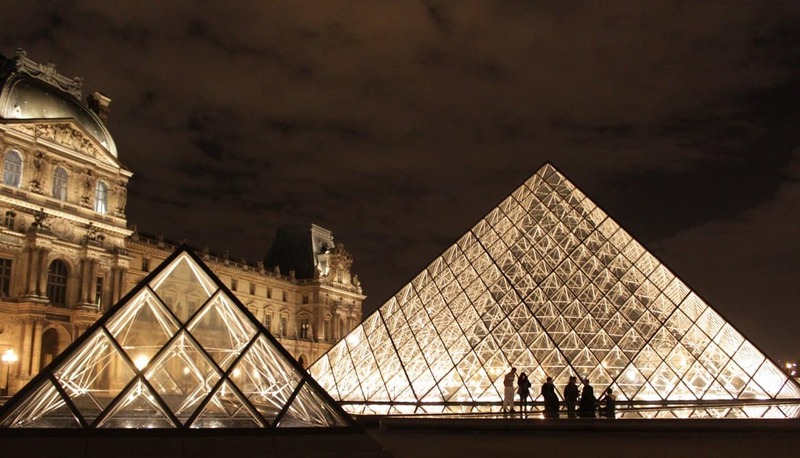 These once futuristic now iconic glass pyramids are a testament to the continued fascination ancient Egypt has for France, and her many tourists who come to the Louvre to see some of the best collections of ancient art and artefacts in the West. Thanks that is interesting – I had heard some of this about the pyramid from an archaeology friend – its got all sorts of significance. And of course some of the archaeology comes up in the Da Vinci code. Is there anything in Paris related to Chompoleon (is that his name ?) the French man who translated the Rosetta Stone ? Actually I think I have the wrong name there – I think he was a different archaeologist ! The Rosetta Stone was found during Napoleon’s Egyptian Campaign, but as the French were also fight the British and lost, the British took all the artefacts that the French scientists had collected and carried the off to he British Museum.